Ashampoo Backup Pro is a reliable and versatile backup solution that has everything you need to safely backup files and entire disk partitions and entire operating systems. Data can be stored on any storage media or in the cloud (such as hard disks, SSDs, flash or network drives) with image backups using newly developed "Infinite Reverse Incremental" technology that saves up to 50% of disk space. 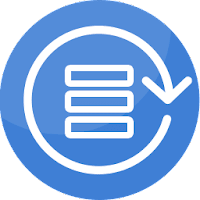 Ashampoo Backup Pro backups can easily be restored and a special emergency rescue application (on CD/DVD/BD) helps you recover your system in the event of a total system failure. Disclaimer: Direct downloads for the lastest version of Ashampoo Backup Pro 11.08 are provided by the official software's author, we can't guarantee safety, availability or download speed. Moreover, we don't and we won't provide any pirated/illegal versions or tools. We recommend you to avoid it as these methods can harm your device. If you like the software, buy it to support the developers. (We provide software discounts for many worldwide brands).